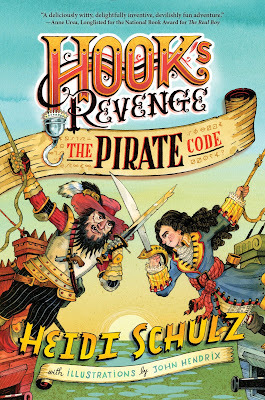 I am so excited that THE PIRATE CODE by Heidi Schulz releases today and that I get to share the news, along with an awesome giveaway! 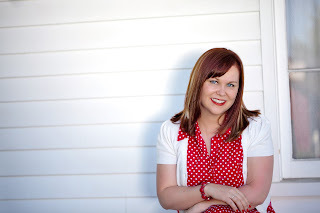 If you haven’t yet heard about this wonderful series by Heidi Schulz, be sure to check out all the details below. This blitz also includes a giveaway for copies of both HOOK’S REVENGE books! US only. So if you’d like a chance to win, enter in the Rafflecopter at the bottom of this post. But the map proves to be a bit harder to crack than Jocelyn had hoped, and she's convinced that the horrible Peter Pan might be the only one with the answers. Of course, he doesn't really feel like helping her, so Jocelyn takes the only reasonable course of action left to her: she kidnaps his mother. Evie, though, is absolutely thrilled to be taken prisoner, so Jocelyn's daring ploy doesn't have quite the effect she'd planned for. Along with the problem of her all-too-willing captive, Jocelyn must also contend with Captain Krueger, whose general policy is that no deed is too dastardly when it comes to stealing Hook's treasure. And with the ever-shifting Whens of the Neverland working against her as well, Jocelyn, Evie, Roger, and the rest of the Hook's Revenge crew have their work cut out for them. In this rambunctious showdown between characters new and old, Jocelyn puts her own brand of pirating to the test in a quest to save her future and those she loves. Heidi Schulz is a writer, reader, and giraffe suspicioner. She lives in Salem, Oregon with her husband, co-captaining a crew made of their teen daughter, a terrible little dog, and five irascible chickens. Her debut novel for middle grade readers, HOOK’S REVENGE, published by Disney•Hyperion, was a Bank Street Best book, among the New York Public Library’s Top 100 Titles for Children in 2014, and an OCTE Oregon Spirit Honor Book. 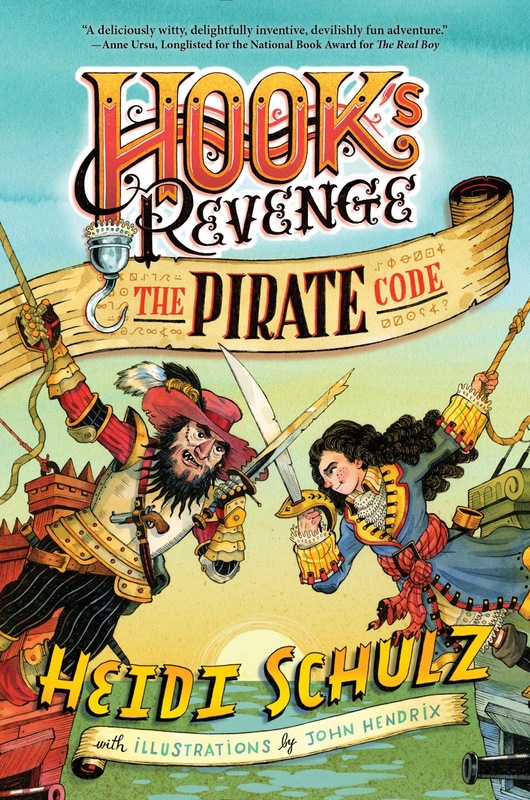 A sequel, HOOK’S REVENGE: THE PIRATE CODE, will follow in September 2015. Bloomsbury Kids will publish her picture book debut, GIRAFFES RUIN EVERYTHING, in Spring 2016. 1 winner will receive both HOOKS’S REVENGE Books. US Only. Ends on September 25th at Midnight EST! I've been wanting these for my daughter! Oh, WOW! These books sounds incredible! I can't wait to read!